We stayed home on Friday and the day was uneventful. 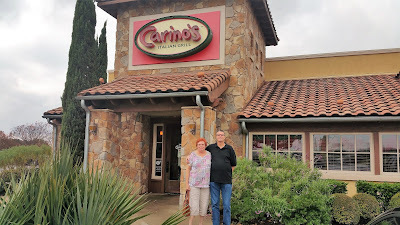 Saturday, we drove into Austin to pick up AJ for lunch and ate at Johnny Carinos in south Austin. AJ had lasagna, Kathi had a salad and I ate a pizza with pepperoni, Italian sausage and ham. 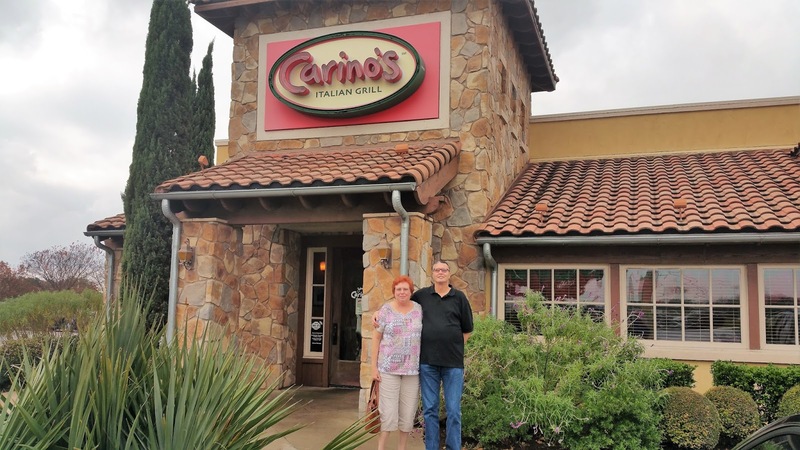 Everyone enjoyed lunch, but I think we all agreed we would prefer Olive Garden to Carinos for Italian food. Just a personal choice, both restaurants serve excellent food. 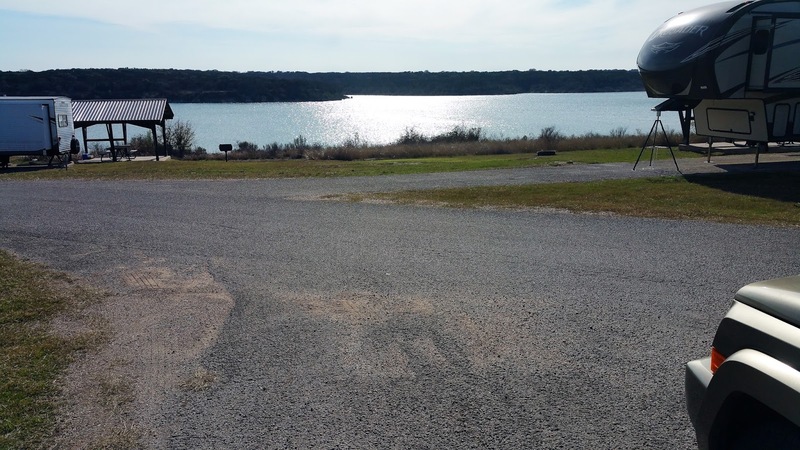 We ran a few errands and returned AJ to his apartment and drove back to Lake Georgetown. It was cold and we bundled up & made it through the night with our two space heaters. The sun cannot seem to make up its mind. We have a little sunshine and a little overcast and a lot of cold temperature in the last few days, no matter what the sun was doing. 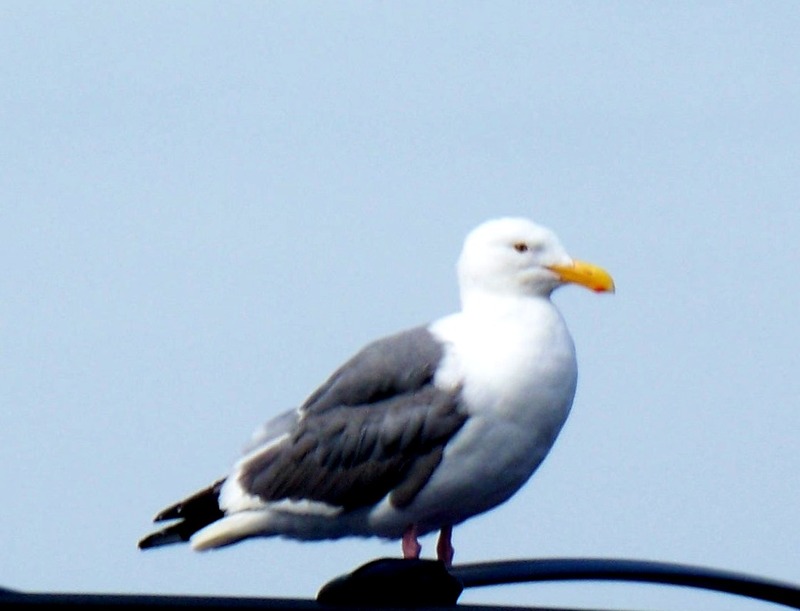 In my last post, called “Didja' Ever?” I discussed our perils for Sunday. I am glad we got that out of the way. 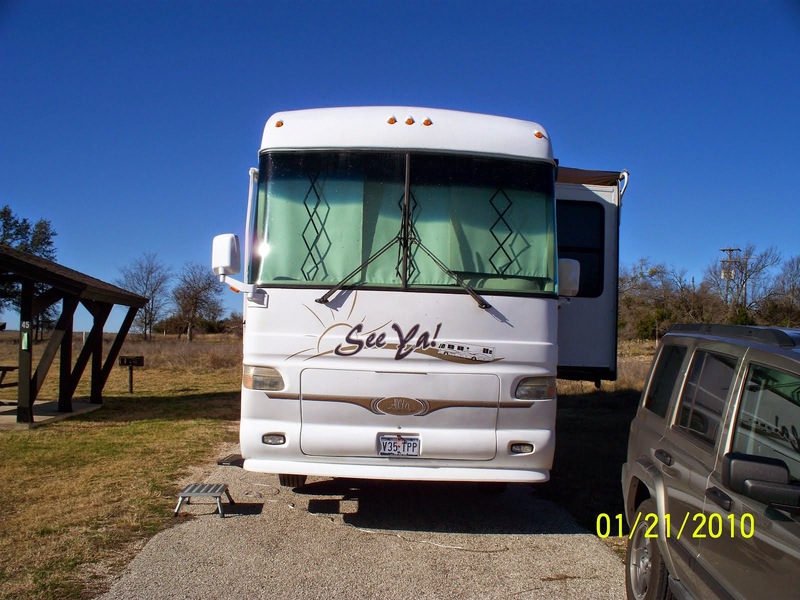 After spending Sunday night in Best Western, I started calling RV repair places on Monday. I talked to five different places in Georgetown and their maintenance shops were all booked or the mechanics were sent home because it was too cold to work. Then Kathi started calling mobile repair people. 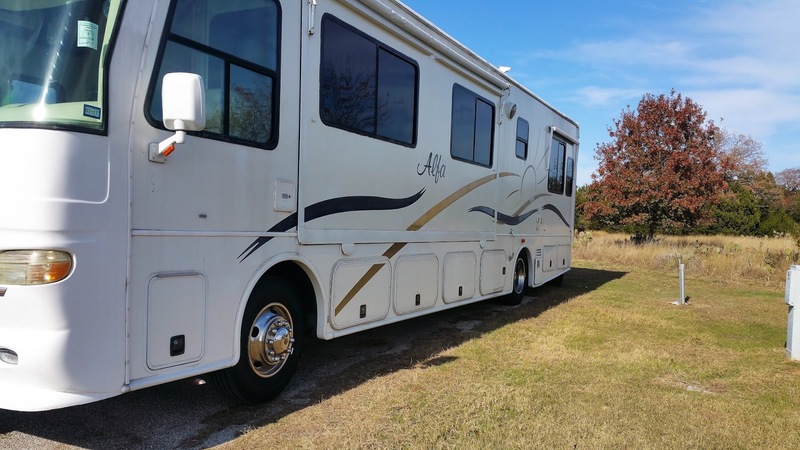 We finally got a mobile repair person that owns Wow Affordable RV Repair from Lago Vista to come over and look at our motorhome and try and find out why we lost electric power on Sunday. He found we had a burned out wire in the four way 120 volt, 50 amp plug we use to bring power into our motorhome. We were running three space heaters when we lost power, so obviously we had overloaded one leg of our electrical circuit. We got it repaired and the power is back to normal. Being without water and electric reminds me of some of the tropical storms we lived through living near the Gulf of Mexico. I am glad we can now move our home away from them. My sympathy did increase for the people in the north who are having colder weather than normal for this time of year. I hope they are all adequately prepared. We were cold in our RV last night, but it was warm in bed, so we did okay. By the time we woke up this morning it was warm enough that I could turn our water back on and Tuesday has been great again. Kathi and I had lunch at Longhorn. Kathi had a sirloin steak and I had chicken fried steak. We shared a salad and got plenty to eat. Temperatures are in the fifties tonight and I do not think it will freeze again at least for a few days. It is not the northeast, but we have some wintertime color in our trees in Texas. 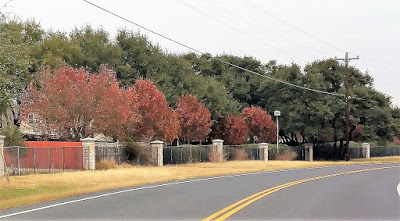 These trees are on Jim Hogg Road. We made arrangements for AJ to come over and visit tomorrow. He will ride the train from Austin to Leander and we will pick him up there about 8 am. We plan on spending the day together looking for adventure.